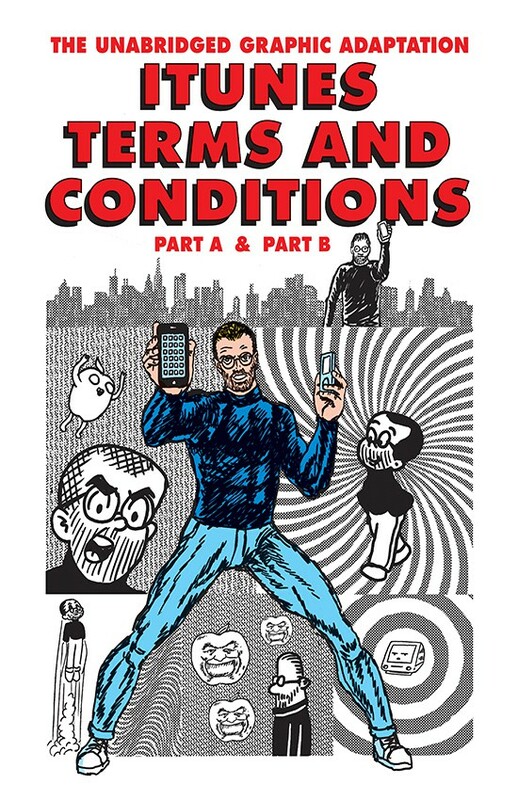 R. Sikoryak does Steve Jobs and the iTunes Terms and Conditions. We’ve all seen those horrendously long Terms and Conditions documents with every bit of Apple software we download, including the iTunes Terms and Conditions. But what if you could see them in an illustrated version? We all might read them in that case. These illustrated panels, each drawn in a different comic book style after famous other cartoonists, put Steve Jobs front and center of the otherwise dry, dusty legal disclaimers from Apple. Totally worth a look, right? We’re living in a golden age for comic book movies, but even with that being the case, it can be kind of rare for a film to arrive in multiplexes, faithfully guided there by its original creator. 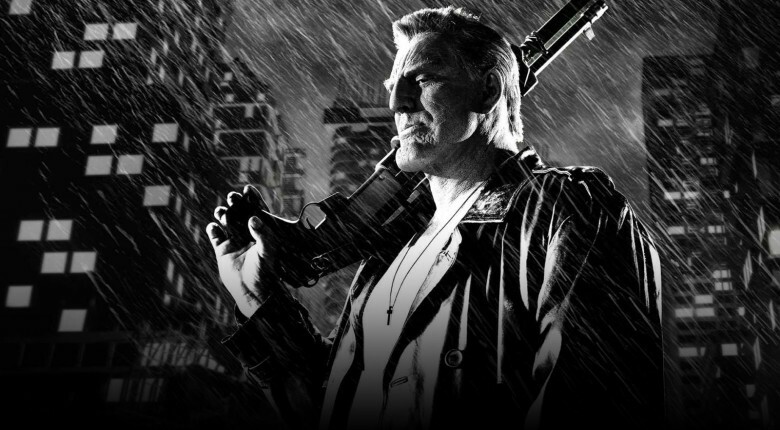 Having the original creator also show up as a writer or even director can work wonders, however, as this sextet of comic book cinematic gems prove. Here’s a comics crossover you can drink to: Rogue Ales is bottling a birthday brew for Hellboy. 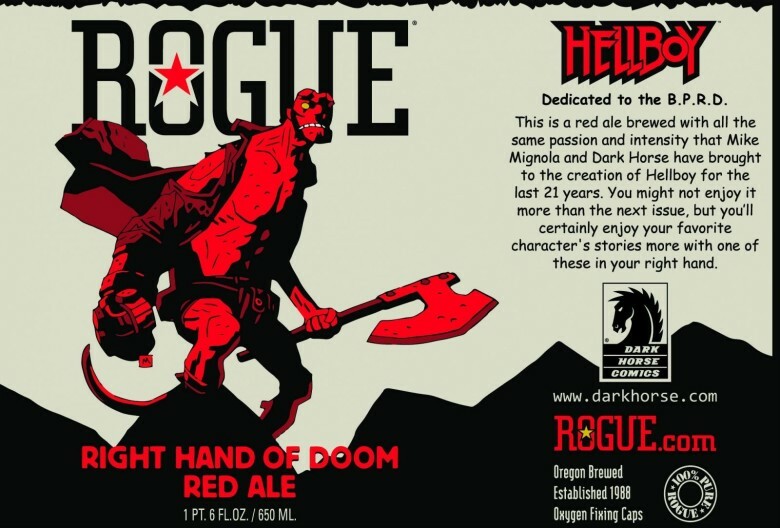 Rogue’s Right Hand of Doom Red Ale pays tribute to the demon-spawn character created by Mike Mignola. A Mignola drawing of the wisecracking, cigar-chomping, supernatural badass adorns the label, just as the comics franchise reaches legal drinking age in the United States. Sure, comic books are an old art form, dating back to the 1930s in American culture. The four-color sequential art format has had some major success as well as several dips in its fortunes over the intervening eighty years, but the comic book is very much alive and well at this point in time, thanks to a resurgence of the comic book movies and television series currently in vogue. 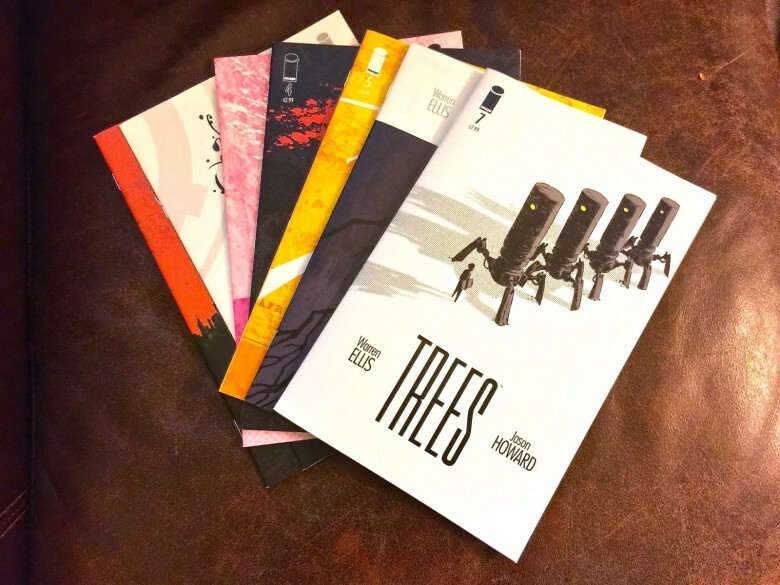 There are so many new books out there as a result, that it’s hard to choose which ones to pick up and read when you head to your local comic book shop (still the way most of us get our comics). If you’re picking up two to three-dollar single issues, things can add up quickly. That’s why we’re here — to get you a sampling of the finest comics your money should buy, right now. Scroll through the images above to see what we’ve put together for you. 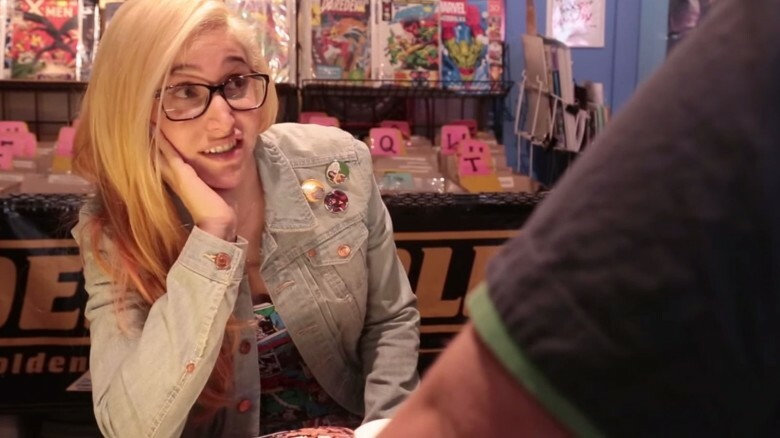 The video below is one of those “funny because it’s true” situations, as many women who love superheroes and comics hear the same kinds of questions and face the same sort of dismissive candor from geeky men who can’t seem to realize that everyone loves comics and superhero movies. Check it out and see how annoying it would be to face this kind of discrimination. Update: The leaked Avengers: Age of Ultron trailer has been pulled from several sources, but once the toothpaste is out of the tube, even superheroes can’t put it back. Marvel Entertainment has responded with an appropriately cheeky tweet (see below) and released the official trailer in HD. It’s hard not to contain our excitement for the upcoming Joss Whedon joint, Avengers: Age of Ultron, especially with this new leaked trailer. It’s not the high-quality one you’ll likely see when Marvel Studios puts the official trailer up on YouTube, but it definitely looks legit. The trailer gives us our first glimpse of baddie Ultron, voiced by James Spader, and features some creepy use of the Pinnochio song, “I Got No Strings” — a reference to the fact that Ultron is no longer a puppet, perhaps? Frankly, Scarlett, I don't give massages. 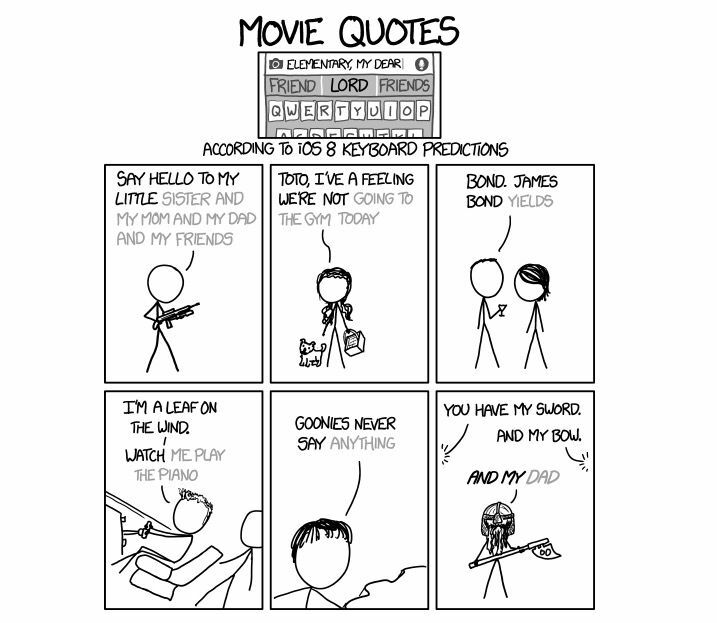 Comic by xkcd. One of iOS 8’s great new features is Quick Type, which scans your history for your most commonly used word combinations and suggests the word you’re most likely to use next, which can be selected with just a tap. That said, Quick Type is hardly perfect… a fact made abaundantly clear by the latest xkcd comic, in which iOS 8 mangles famous quotes from Scarface, Wizard of Oz, Serenity, Goonies, Lord of the Rings and Goldfinger. And you thought Damn You, Autocorrect was hilarious! 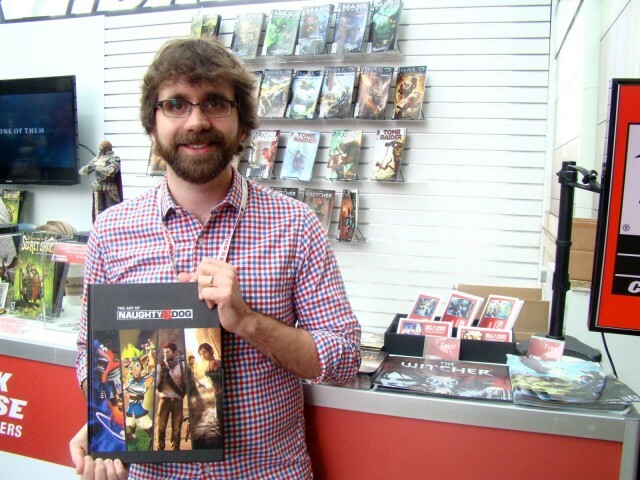 SEATTLE, Washington – Walk into a comic shop, and you’ll probably see titles from publisher Dark Horse Comics. Known for its creator-owned series like Mike Mignola’s Hellboy and Sergio Aragonés’ Groo the Wanderer as well as television and movie adaptations like Buffy the Vampire Slayer or 300, the comic book publisher has a booth at the Penny Arcade Expo this weekend in Seattle to show off a different genre of comic. The booth at the Washington State Convention Center in is full of video game-themed books of all stripe, from Mass Effect and Tomb Raider single-issue comics to larger, coffee table volumes like Hyrule Historia, which is chock full of the lore of The Legend of Zelda, and The Art of Naughty Dog, an art book that focuses on the popular game developer’s artistic output. Dave Marshall says that video game books are the third pillar in the Dark Horse publishing strategy, and have become just as valuable a content stream as the creator-owned or media-based titles. A tale of two Spideys. 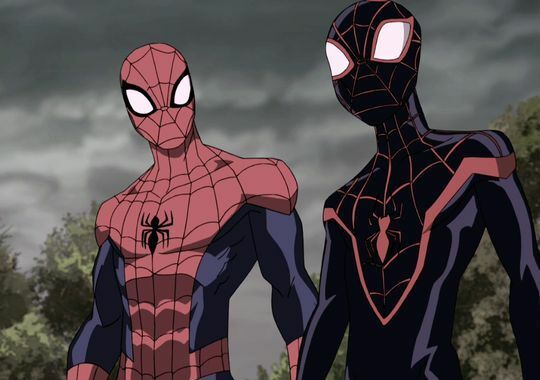 In an amazing twist of celebrity, Community star and rapper Donald Glover has gotten to voice Miles Morales, the Ultimate Spider-Man, in the Disney XD animated series. As it’s Glover that was the original inspiration behind the alternate universe Spidey, written by comics star Brian Michael Bendis, this is a treat for fans and the actor himself. Check out the clip below as Peter Parker (voiced by Drake Bell) meets Miles Morales, voiced by Glover.